Designed for gravel grinding, singletrack shredding, and bikepacking trips, the Ultra-Wide 650Bs will come in at 1460g. Their 27.3mm internal width should provide riders a broad base of support for running 45mm+ tires at low pressures for added traction, comfort, and control. For those not yet ready for the supple life, Thesis will offer the Aero-Wide 700Cs. Weighing 1590g, the aerodynamic set features a mid-hook tubeless design along with 22mm internal widths. Thesis suggests 28-30mm slicks for those looking for more road speed, while they can handle up to 45mm. 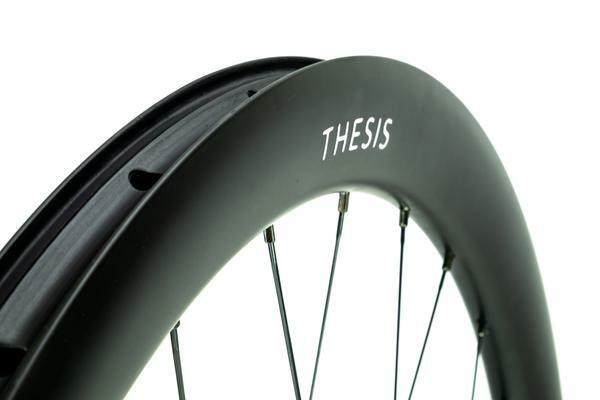 Thesis wheelsets begin shipping October 2018, currently for $999. We look forward to testing these wheels as well as the OB1 gravel bike this fall to provide you more information.